"Hungry" is no way to spend childhood. Every day The Salvation Army helps cure hunger by providing nutritious meals to neighbors in need. 17.4 million families go to bed hungry each night in the U.S. And an additional 6.9 million families face very low daily food security - that means they don't always know where their next meal is coming from. The Salvation Army feeds an average of 156,000 every single day in the U.S. These meals are served to anyone in need - this includes homeless people of all ages, as well as individuals and families who may be down on their luck and in need of a helping hand. In addition to addressing the immediate symptoms of food insecurity, our programs are designed to help identify and treat its root cause. This approach focuses on meeting the physical, mental and spiritual needs of each person and helps move many from hungry to fully healed. Each year The Salvation Army provides 56 million meals to those who are facing the threat of food insecurity. By offering access to free, fresh produce and canned goods, we provide valuable meal supplementation while helping those in need maintain their independence and dignity. 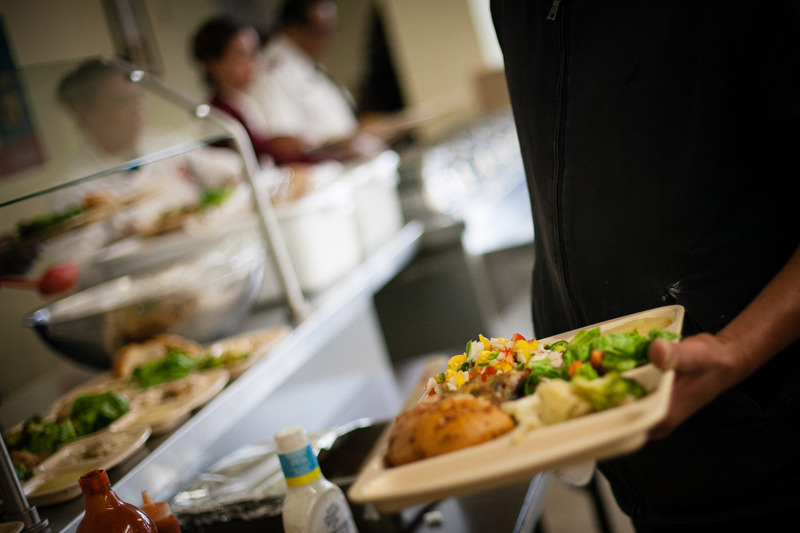 From sit-down meals that provide nutritious food and valuable human interaction, to mobile meals that deliver much-needed sustenance to those who cannot reach a food distribution center, we ensure that the most vulnerable members of society do not go hungry.